Donald Trump is known for using his Twitter account to rehash issues he feels are important, and one that he continues to bring up are the election results. 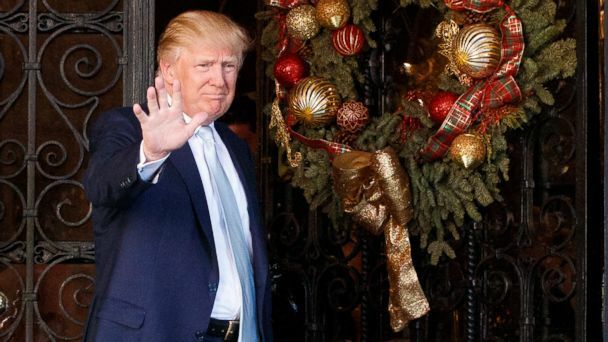 Trump's Electoral College victory hasn't stopped him from musing about the outcome and criticizing President Obama and his former rival Hillary Clinton. "In typical Donald Trump fashion, most of what he communicates is done from a visceral place without, I think, a lot of strategic thought into it," said ABC News political analyst Matt Dowd. The most recent instance was Tuesday, when Trump took aim at Obama and his failed attempts to get Clinton elected. Obama told David Axelrod on his podcast that he believes he could have beaten Trump in the election if a third term was feasible. Trump blasted the president's comments in a tweet on Dec. 26. Dowd pins Trump's need to defend his win on what he sees as the president-elect's insecurity. "President Obama has as high an approval rating as Ronald Reagan had when he left office. President Obama won two elections with more than 50 percent of the vote. And so it seems like -- and not to psychoanalyze Donald Trump -- it seems like it comes from a place of insecurity," Dowd said on "Good Morning America" today. "Donald Trump lost the popular vote. Donald Trump didn't get 50 percent of the vote, and Donald Trump is in the 40s in his approval rating going into Inauguration Day, so it's a bit like a star is on stage and he's trying to shove the popular star off the stage but the popular star isn't leaving yet." The final popular vote was certified on Dec. 22; Clinton won nearly 2.9 million more votes than Trump. On Dec. 21, Trump sent out a series of tweets where he claims he could have won the popular vote but was too focused on winning the Electoral College instead. Hans Noel, a Georgetown University associate professor, said that Trump is "a political neophyte" but has found his strength in campaigning since it "is the closest thing to what he does have experience with, which is marketing and publicity." "I suspect that as he moves into governing, he's going to keep doing what he's come to be good at, which is campaigning. So he'll keep talking about the campaign and keep appealing to voters," Noel added. "American politicians have long been drawn into a perpetual campaign, but Trump seems likely to amplify that."